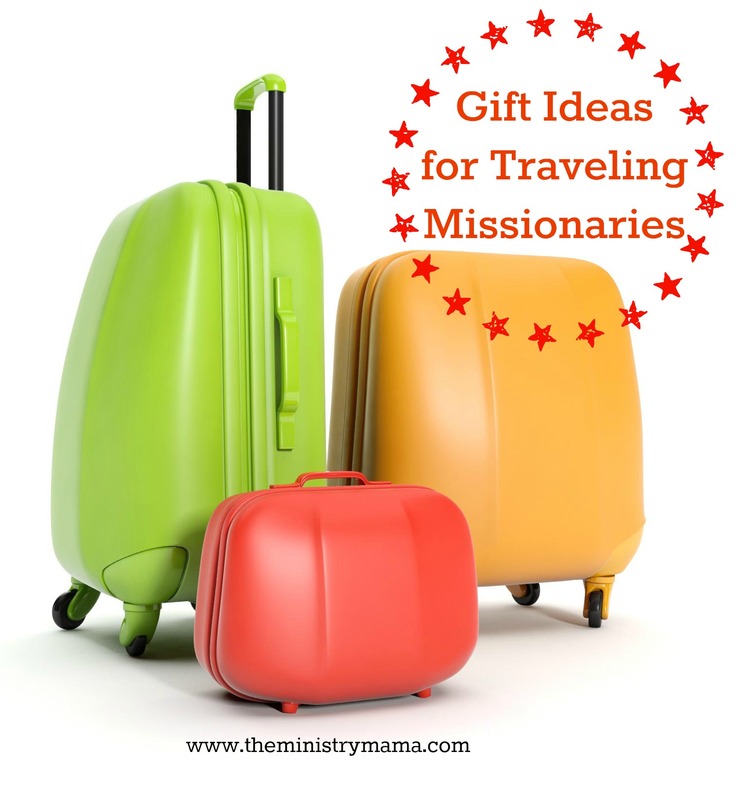 Want to know the best gifts for missionary families on the road traveling from church to church on deputation? Lots of ladies in churches around the country and even missionary wives have helped compile this list for families, men, women, babies, children, their car, and their ministry. Missions Conferences and other special services allow us the opportunity to be able to be a blessing to many other families. Missionary couples and families are on the road for weeks and months at a time and sometimes that is a challenge. All the big items we would like to give a family might not fit into their vehicle, that is why we have compiled this list of gift ideas, to help you know that the bigger an item is, in this case, is not always better. One great way to find out what a missionary and their family need is ASK! Many churches send the family an e-mail prior to their arrival to their church to find out exactly what they really need. You could create an easy copy and paste form you can put into your e-mails to send. Remember if you do this well in advance, it will give the busy missionary time to reply and time for you to buy well before they arrive. Cash, Cash, and more cash! Okay, so let’s be practical, traveling and families cost money, and we do not always know the needs that need to be met, so this can be a BIG blessing. Maps, coupons, and tracts to your church so they can travel around your town without getting lost and invite folks to your church. The gift of TIME. Each family needs time to rest in their hotel, to do their homeschooling, to do their personal shopping, and wash their laundry. Please be mindful that even if they are there for your services that they need time to relax, study, and shake themselves loose of car time. A Bible Cover to protect their Bible because it is in and out of the car all the time. Make a notebook full of scavenger hunts and road games printed off the internet. Make an extra notebook so parents can play in the front seat too. A family pass to the zoo or science museums. Many zoos and science museums accept these passes at multiple locations across the country. A little research can find out what type of pass is most accepted. Take their family to a local park or children’s museum to get them out of the car! Take her to the salon for a haircut, manicure or pedicure. Give her specified money or gift cards just for her. No spending for husband or children allowed! Do you have a lady in your church that could give them a makeover? Think Mary Kay representatives or some one with a genuine talent for making ladies look beautiful that might provide them with samples or products they can use. This would be a gift, not a sales opportunity. Give it a bath! Take it out for a car wash.
Read their missions letter or e-mails to find out the needs they have for their particular ministry and find a way to give the items or money needed. Be faithful to pray for them, each missionary family desires that people truly pray that God will lead, guide, and protect them while they are traveling and while they are serving Him. Some ministries need Sunday School curriculum, speakers for sound systems, pews or chairs for their new building, hymnals. Look around your building and in your storage rooms to see if there is something of quality that you can give. Offer to ship these large items and take the burden of the cost from their shoulders. They may not be able to travel with these type of items or it may be a burden to their travels to pay for shipping. Make a new copy of their ministry presentation if they have an old or scratched DVD. This can help them as they present to other churches without any glitches. Make sure that the copy you give them works entirely and you give both copies to them. Provide listening ears! Listen to their stories, their blessings, and their struggles. Encourage them when they need your advice or feedback. Pray with them. Pray with them as they are with you and share their needs and burdens. Then, pray with them before they leave town. A heart that truly listens to another will take the burdens off of the other person and take them to the Lord in prayer. To go to Him with their needs is truly a special gift. *Find out about allergies and food preferences ahead of time if you can. To buy a bunch of snacks the family is allergic to will be a waste of money and go against your good efforts of being a blessing. Remember the season, chocolate in the car during the summer doesn’t work out very well. **And with books, movies or music, when in doubt, ask! While these lists are not exhaustive, these are tried and proven gifts that have pleased many missionary families. We always wish to be a blessing and not a burden to those traveling on deputation. Their duty to report to the churches is a greater duty because it involves living their daily life inside a vehicle. Caring for missionaries is a hospitable task that should be a joy to you because they are serving the Lord in areas where you cannot go yourself to preach and teach the gospel. Give and give abundantly to meet their needs! And someday, you may be in their shoes. I owe a special thanks to the many other ladies that have contributed their ideas and time so that we could compile such a great list. Thank you!